San Diego Comic Con opened to the public today, and there is a special Garbage Pail Kids offering. Topps previously released info about this set prior to the con, but the release was gauge and confusing. It would appear Topps is offering 5 different characters that each come in 10 card Foreign Legion sets. 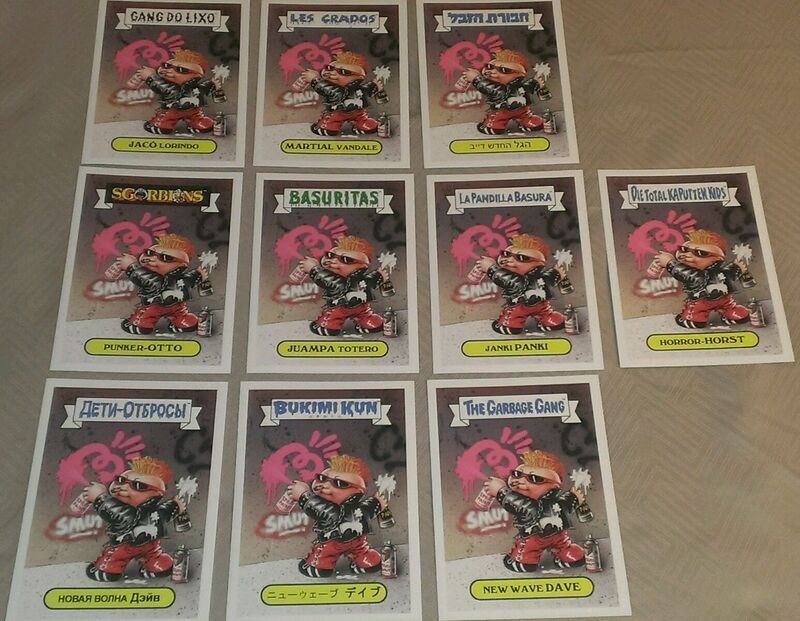 The characters offered are Adam Bomb, Ash Can Andy, Potty Scotty, Nasty Nick, and New Wave Dave. For $20 per character you will get 10 cards of that character is a different foreign language. So the complete 50 card set will set you back $100. The cards measure 5 X 7, are limited to 400 of each character, and can be found at the Atomic Toybox booth on the show floor. Can anyone hook a brother up? 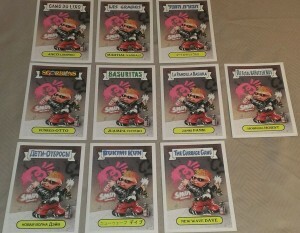 This entry was posted in GPK 30th, Promo and tagged GPK 30th, Promo, SDCC by Jeff. Bookmark the permalink. Next → Next post: New Garbage Pail Kids Binders Incoming?